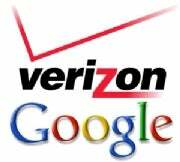 Will Google-Verizon Net Neutrality Plan Make Lawmakers Act? A net neutrality proposal from Google and Verizon might be the kick in the pants lawmakers need to introduce another bill, even if it's not the outcome the two companies are hoping for. Congress has considered net neutrality several times since 2006, but none of those bills became law. The most recent bill, the Internet Freedom Preservation Act, died with the end of the 110th Congress. As my colleague Tony Bradley points out, net neutrality is a polarizing issue among lawmakers. The ideological differences between regulating the Internet and leaving it alone can't be resolved by a debate between Republicans and Democrats. To break the ice, lawmakers need a new twist on the same old story. Enter Google and Verizon. By proposing a plan that keeps net neutrality away from wireless Internet, but enforces the idea for wired Internet as long as cable companies can create a private fast lane for unique services, Google and Verizon have found a compromise that, whether you agree with it or not, is more complex than the standard definition of net neutrality. It gives lawmakers something to work with beyond the same old question of whether to regulate. The proposal also created a controversy, which means people -- the electorate -- are now tuned in. I've never seen net neutrality become such a persistant conversation topic in the tech press and mainstream media. It's all because a giant Internet company and a giant telco -- two businesses that usually come down on opposite sides of the debate -- have come together with a proposal that a lot of people don't like. I'm not a political expert, but I tend to think that when a political issue gets more attention from voters, it in turn gets more attention from lawmakers. Now, four Democratic members of the U.S. House of Representatives are expressing disapproval of Google and Verizon's proposal. That's neither a surprise nor a big deal, but it's the first step toward seeing this Congress introduce a bill, regardless of whether it follows the framework that Google and Verizon have established. Maybe this time, it'll get somewhere.